It has been a crazy couple of weeks. Surprisingly, not with the busy-ness of Christmas, but instead just with things here on the homestead. We cut back a lot of Christmas gatherings this year and thus have had a very nice, laid-back and fun month, which I am so glad for. So what has been going on around the homestead that is crazy? 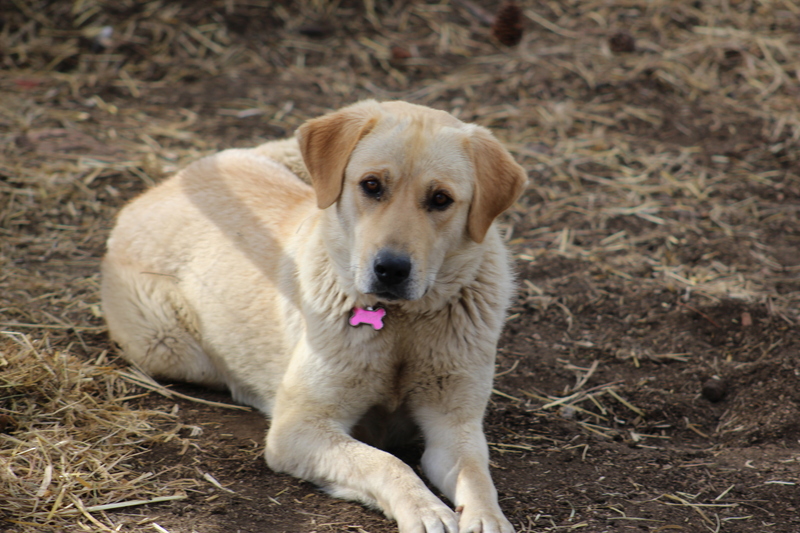 Anya, our LGD, has been living in the back barnyard, a pen adjacent to the main barnyard, because she was still maturing and had accidentally licked to death a couple of different chickens last year as a pup. For the most part this guarding situation worked fine. 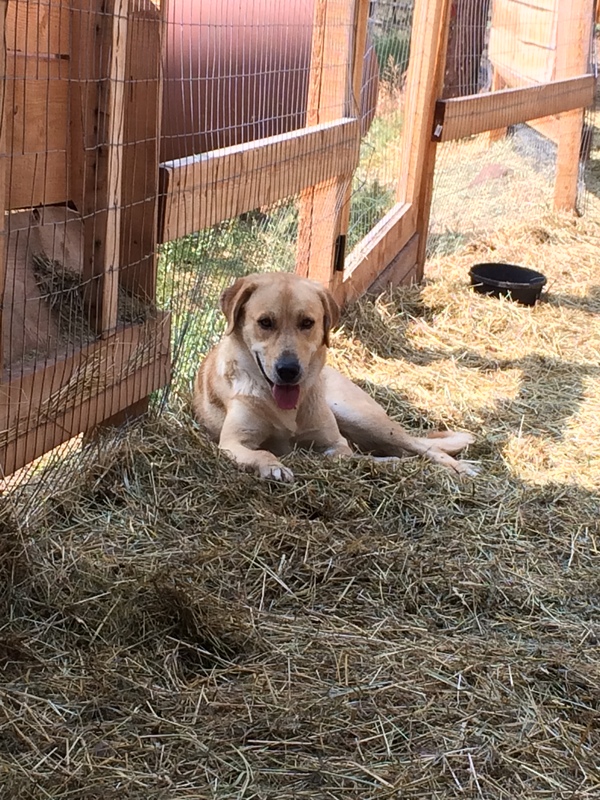 Her presence and barking kept everything away even though she wasn’t in the same pen with the chickens. Well, we noticed that her digging and barking started getting out of control in November. 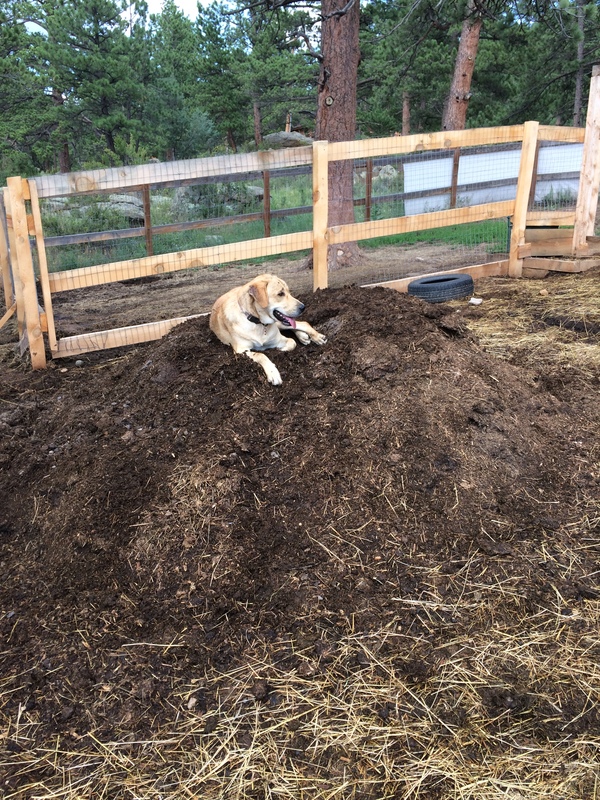 LGDs like to dig nests and dens to lay in, which doesn’t bother us, but she was starting to boredom dig and her pen looked like a disaster area. In addition, she was barking incessantly. Previously, she only barked when there was a reason, and yet she had started to bark a lot more and we couldn’t decide when it was necessary and when it wasn’t. At the time we didn’t know why she was barking so much. But now in hindsight we are able to see that she was feeling like she couldn’t do her job of guarding thoroughly since she wasn’t in with the chickens, and so she was making up for that by barking extra trying to keep things away and protect the chickens. And that was made worse because there was a bobcat hanging around. Unfortunately it all came to a head when the bobcat jumped into the barnyard, grabbed a hen, and took off with her while poor Anya was freaking out not even 5 feet away but unable to do anything because she was not in the same pen. Clearly, the bobcat hung around for long enough to figure out that Anya wasn’t in the same pen and couldn’t get to it. And then it picked the farthest corner from her and from the house, which still wasn’t far from her at all, and waited for the chickens to be over in that area. We found the spot where it took the chicken and ate it, not 50 yards from the barnyard. 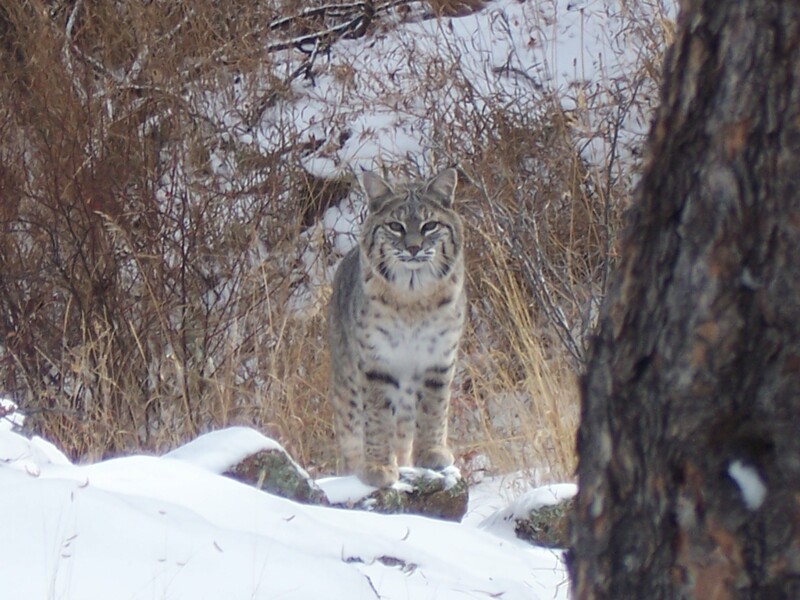 So we were in a pickle because the bobcat now knew that he had an easy source of food, and poor Anya was out of her mind frustrated at the whole thing because all her instincts were telling her to guard and she couldn’t. So we closed the chickens in their enclosed pen for a week to protect them while we figured out what to do. Meanwhile, we let Anya live in the main barnyard during that time. We were surprised to see that her inappropriate digging and barking behavior stopped immediately. Which is what led us to believe what I said above about the cause of those behaviors being her frustration at not being able to do her job. She was content and happy and went back to lazing around in the sun and watching over everything. Since she is now 2.5 years old we decided it was time to give it another try with her living with the livestock. Our previous attempts had gone pretty well, except that she still had too much puppy behavior and wanted to play with the chickens, leading to them getting killed. She never killed a chicken to kill or eat it, she just held them down and licked them to play with them. So we were confidant that she would be able to be a reliable LGD once she matured. We carefully began putting them back together. 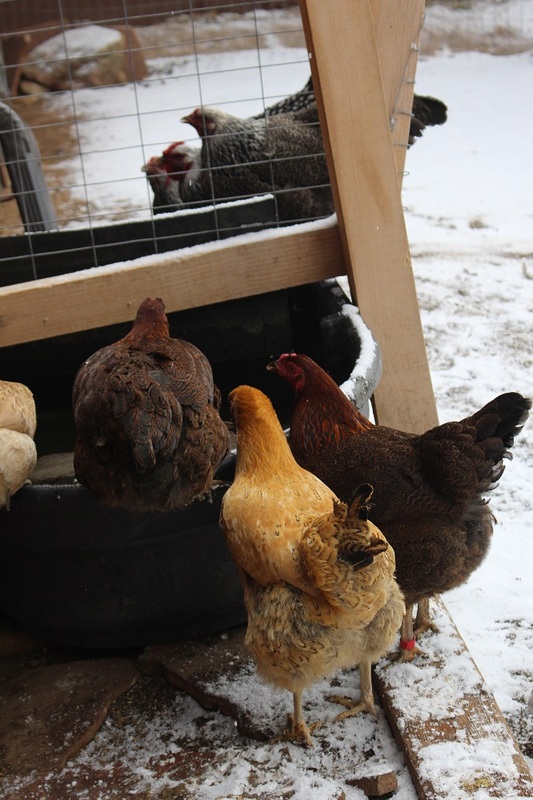 First with us in the barnyard, then with us around but not right there in the yard, then with us checking on the situation often but not being outdoors the whole time. I am happy to report the transition has gone beautifully. She is happily living in the main barnyard with the flock of chickens and guarding them well without playing with them nor hurting them. She has more space to live, the big soft compost piles to lay on, and more sunshine in the cold winter months (the back pen is on the north side of the barn and doesn’t get much sun). She seems completely content to live with them and do her job guarding them – no digging, and no excessive barking. I love seeing a dog happily doing the job they were bred to do and fulfilling their purpose. So if you have a young LGD that has made some mistakes…don’t give up hope! Keep training them and keep giving them time to mature and they will most likely come around. It is what they were bred to do. 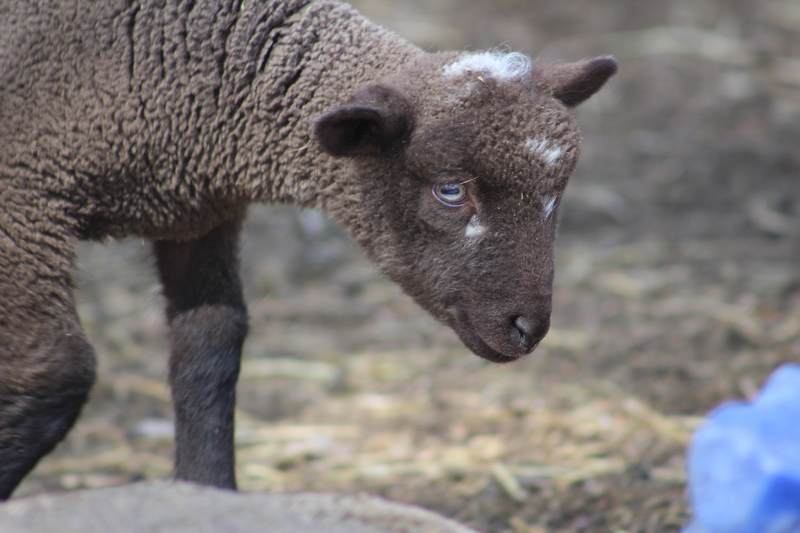 The second thing that has been crazy on the homestead was the sudden and unexpected return of three of our sheep to the farm. 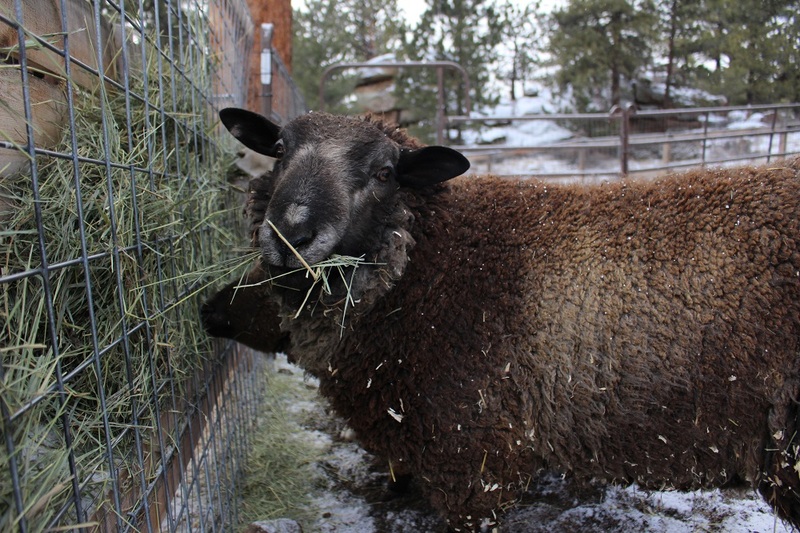 In December of last year we made the heartbreaking decision to sell off the last of the livestock – our flock of 6 sheep – and just keep chickens, because our son’s medical issues and hospitalizations had us weary, exhausted, and unable to keep up the care of the livestock and still give our family what it needed. You can read about it by clicking here. It was a hard decision, but a good one. This year has been a very hard one as far as the medical issues and we had unexpected hospitalizations and surgeries along with a scheduled hospitalization and surgery, plus many medical appointments far from home – it was very nice to not have the livestock back home to worry about during it all. But not having the livestock also took a part of the joy of the homestead with it, and we all missed them desperately. Our son’s situation and prognosis have not changed. What HAS changed is that we have been able to do a lot of emotional healing this year. And we have found a new level of acceptance of the situation as it is as well as acceptance of the unknown to come in the future. In that healing and acceptance we also realized that this could go on for many years and we don’t want to miss out on living the homesteading life that we love so much because we are “waiting” for things to get better when they likely are not going to get better. We didn’t wait for “perfect”timing to start the homestead, we just started it. And we love it and it is such a blessing. It is kind of like waiting to have kids until the “right” time. If we had waited to have kids until the “right” time we never would have had kids. Life is a constant ride of ups and downs and if we wait until it feels stable to live the life we want to live, then we will never live the life we want to live. We needed the rest and healing that we gained this year. And we don’t regret the decision to sell them all. We needed it. And we don’t want to take on more than we can handle and do poorly at it because we are overdone. But we were starting to feel ready to get back some livestock and get back to living the homestead life we loved despite the other things in our life that made it harder. And then the opportunity to get our sheep back was dropped in our lap. Isn’t it wonderful how those things happen at just the right time? The people who bought them had their own life situations going on and were cutting back the flock. Did we want to buy back any of our sheep, or their offspring? Yes we did! They hadn’t been bred yet though, and we don’t want to miss a year of breeding, and the end of their breeding cycle is fast approaching. 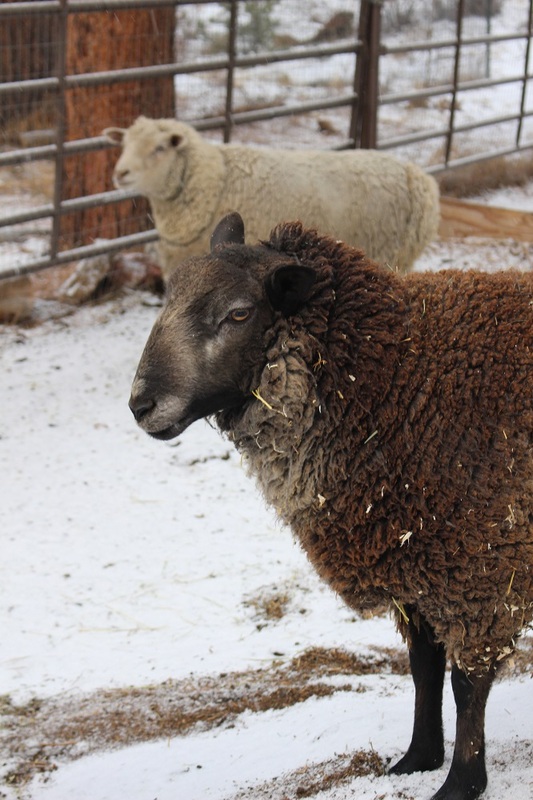 Most sheep are able to breed from about September through the end of December, though some breeds can breed out of season. 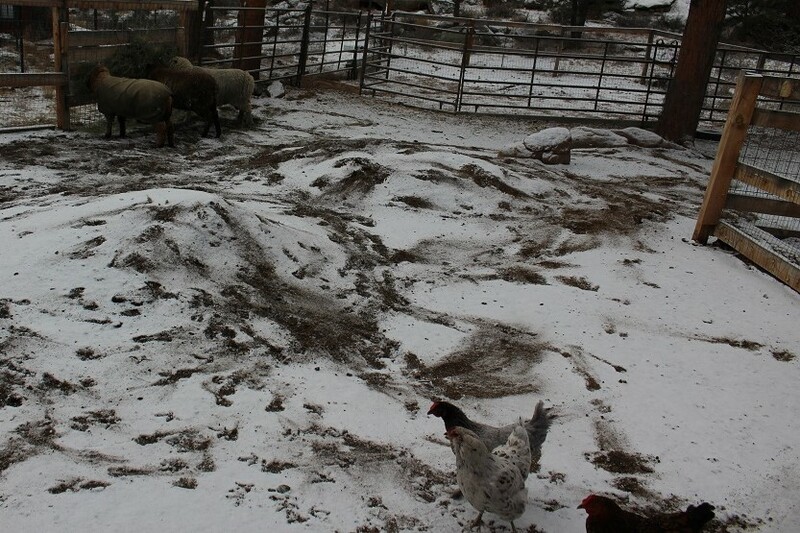 Our ewes are of breeds that breed out of season, but we had never tried past December. In addition to the fact that the later they are born the younger they will be next year when winter hits, and we don’t want to go too far into that. So time was running out quickly to get them bred. Because of that, in a whirlwind and only 3 days from when we were offered them, we had three of our sheep back on the property! We decided not to get back all 6 because we want to keep things easier and more manageable since our son’s medical situation is still an issue. 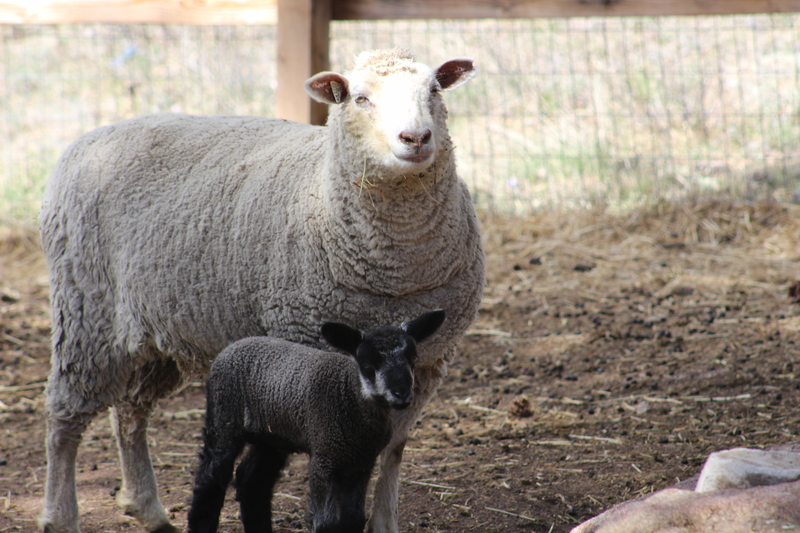 Plus, once they lamb we will have more sheep on the property for half the year or so, and thus we like to keep the base breeding flock down to 3-4 sheep. We carefully discussed and selected who to bring back so that we would have the best wool flock possible, plus body size for meat as well since we butcher some of the offspring. 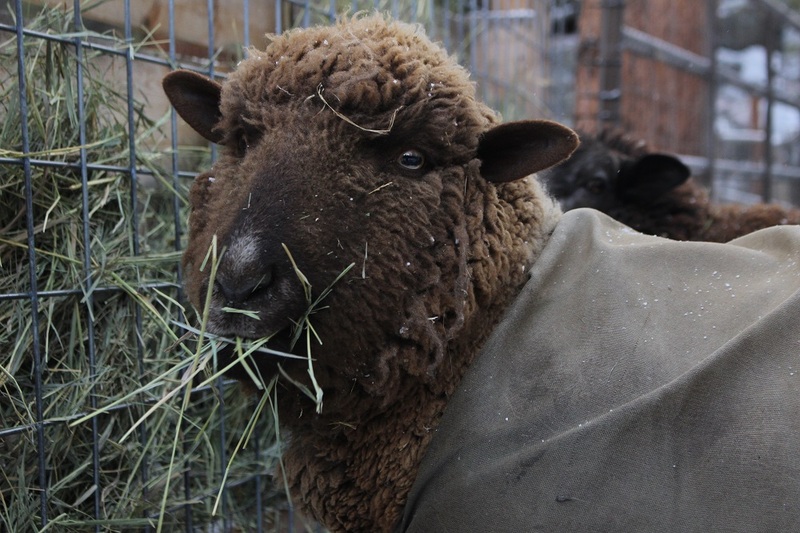 In the end we decided to bring back Fiona, our flock matriarch and the first sheep we ever owned. 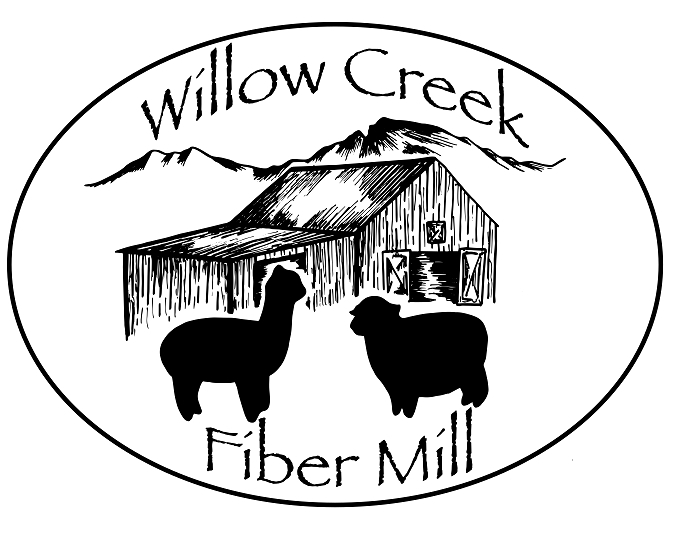 She is a Merino x CVM cross, with a shorter fine-wool white fleece (which gives us options of dyeing the yarn). She is an excellent mother who has had twins. Here she is back in 2017. And Fergus, who was also born on our farm in 2017. 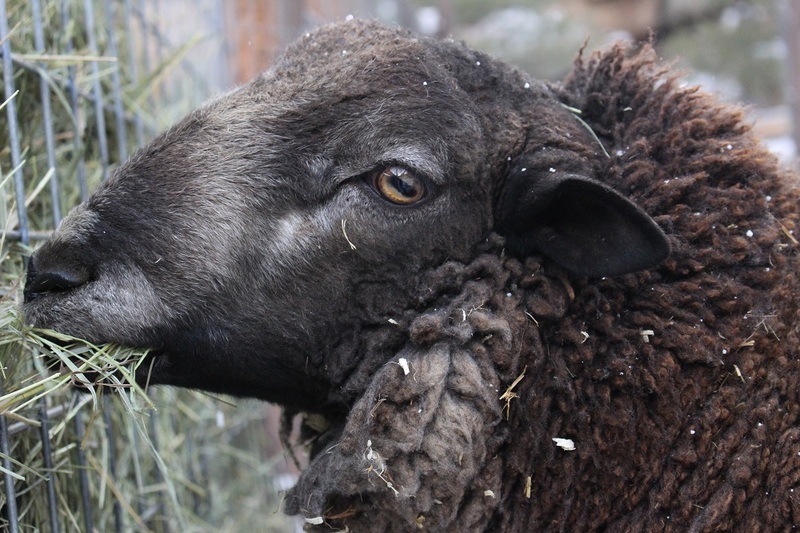 He is a 1/4 Merino, 1/4 CVM, and 1/2 BFL, with a soft and yet long-wool silver and black fleece. We used Fergus for our breeding ram right before we sold them and we were able to see the offspring from the matches we made and they turned out very nice. This is Fergus as a lamb and as he is now. We have a nice range of colors and textures in our little flock, plus good size for meat. They are all living together and we are hopeful (and expecting) the girls will still have another heat cycle and they will get bred. It will mean the latest lambs we have ever had – May/June birth estimates. But better late than never! And it will be a nice change to lamb in reasonable weather, since we normally are lambing when it is oh-so-cold. You never know, we may like the change and keep it in the future. 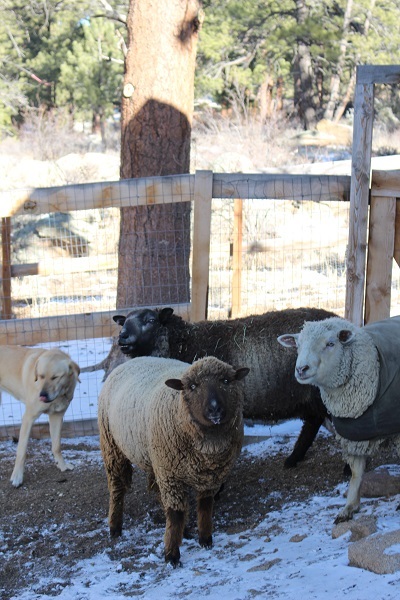 Chickens, sheep, and guard dog all in the same barnyard together again…it feels so balanced and just right. 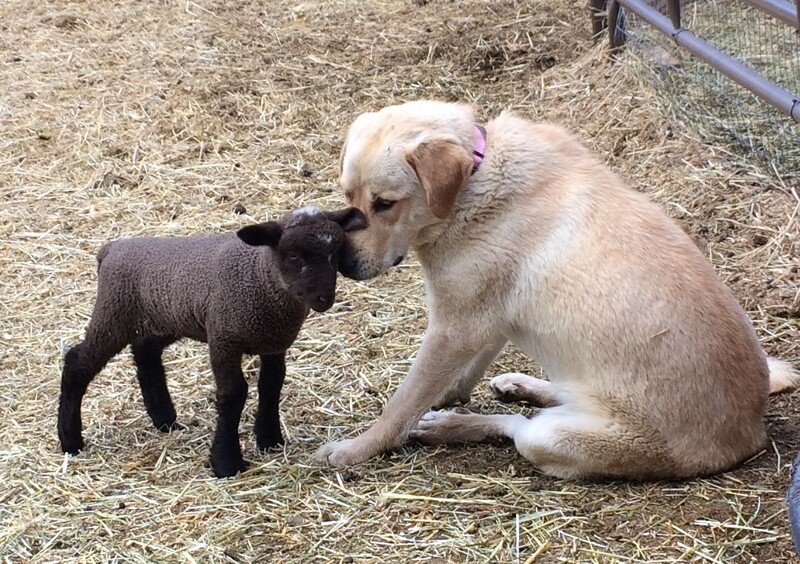 This entry was posted in Anatolian Shepherd, Chickens, Farm Dog, Sheep. Bookmark the permalink. 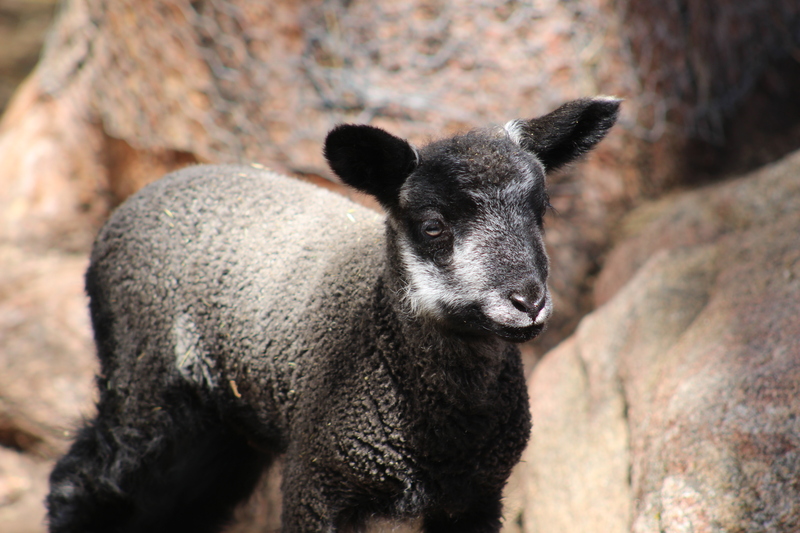 ← Guess Who is Baa-ck on the Homestead? I really like what you said about not waiting for the ‘right’ time to do things. It’s so tempting to guard ourselves by trying to wait until the timing is just right, but often the greatest things happen when the timing isn’t our idea of perfect and somehow it works out anyway. That is a good reminder for starting the new year.